Diane has found her niche in serving Global Recordings Network in data support through the studio and language tracking “green folder project.” She works from home, looking at the scanned documents, cleaning up the scanned images, and determining the type of document it is, making these documents accessible to all Global Recordings Network Centers and Bases through the database. When Diane was in middle school, her mother took her to church, but did not stay. Diane became involved in the choir and enjoyed learning the Bible lessons. However, it was not until she was a junior in college and began to attend church services with friends that she realized she could not answer the Sunday School teacher’s questions; “Can you remember the time that you accepted Jesus Christ as your personal Savior? If you were to go to Heaven right now and God were to ask you what right do you have to come into My Heaven, what would you tell Him?” That Sunday morning, Diane accepted Jesus Christ as her personal Savior. Diane and Marc were married in 1982; they have no children. They recently purchased a home in Gallup, New Mexico, to be close to the Navajo church in which they minister. They joined Global Recordings Network in June of 2017. 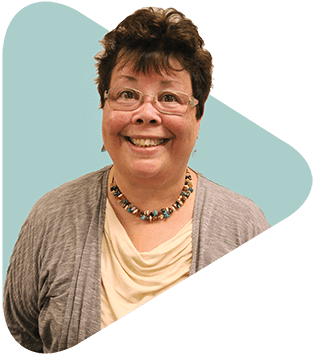 Diane has a Master’s degree in Instruction Design and Technology with a Library Media certification from The Ohio State University. She is a reviewer for School Library Connection and has published articles in the Ohio Media Spectrum.